LOGOS EXPO Center and the Union of Manufacturers and Businessmen (Employers) of Armenia invites you to participate in large-scale exhibition “CAUCASUS BUILDING & RECONSTRUCTION EXPO 2020” 18 – 20 of March, 2020 in Yerevan, in the exhibition center “Yerevan EXPO”. The annual international specialized exhibition “Caucasus: Building and Reconstruction EXPO 2020” is the largest building exhibition In Armenia, setting down on the area more than 1000 sq.m. This event becomes a unique platform for creation and development of business relations between the building companies of Armenia and the countries set forth above. For the Armenian companies possibility on a place for the first time opens to adjust the necessary business contacts directed on integration with the largest manufacturers in the field of building that will create necessary preconditions for growth of the international investments into economy of Armenia. This exhibition for those businessmen whom successfully having created the business in Armenia, search for the new markets for its expansion and increase, and consequently, the future of the company. Time of carrying out of an exhibition – on Мarch 18-20, 2020. The place exhibition carrying out – exhibition center “Yerevan EXPO”. The official opening ceremony- on Мarch 18, 2020 at 12:00. Participants of an exhibition – more than 100 companies taking in the lead positions in the market: the investment, building companies, the design, design organizations, etc. 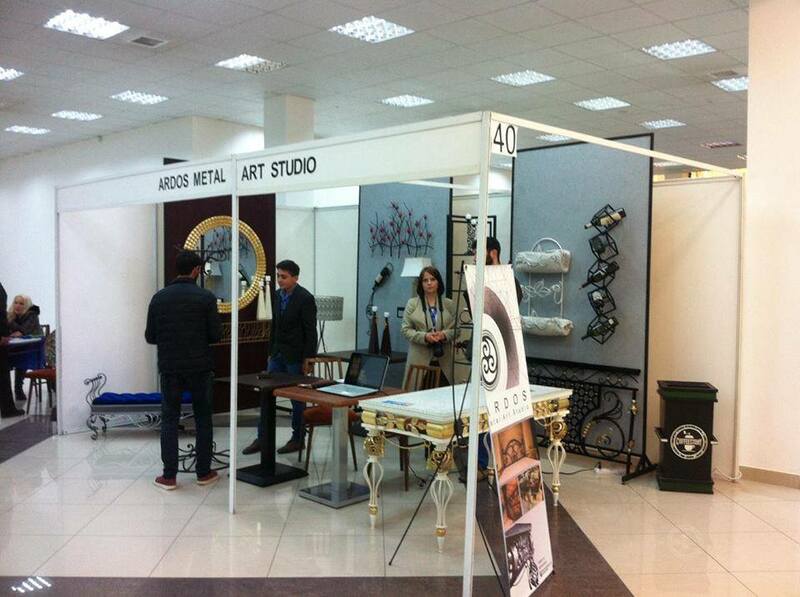 LOGOS EXPO Center the first exhibition company in Armenia (1999) which is the absolute leader in the sphere of the organization of industry, industrial, national and international shows and the congresses in Armenia. The exhibition company LOGOS EXPO Center develops and realizes modern marketing strategy, making use of experience and the advanced achievements of world practice of exhibition business. Over the last 17 years LOGOS EXPO Center organized more than 300 specialized and international exhibitions including different branches of economy. In cooperation with the RA governmental organizations, the ministries, departments, embassies of the foreign states, labor unions and associations the LOGOS EXPO Center company in a year holds 10-12 specialized exhibitions which reflect dynamic development of national economy. It appear in the center of events! 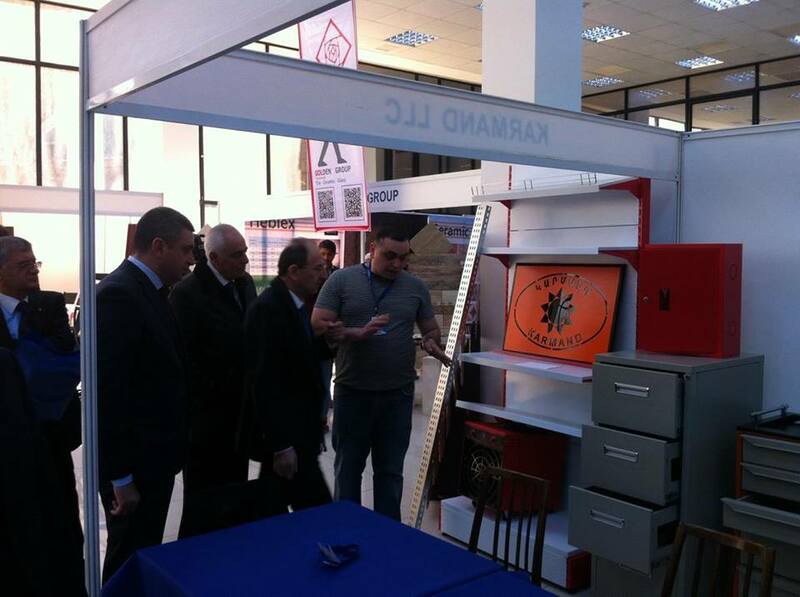 On April, 2th to 4th in Sport and Cocert complex after K. Demirchyan there has passed an exhibition “Caucasus Building and Recomstruction EXPO 2010”, organized by the company “LOGOS EXPO Center “. 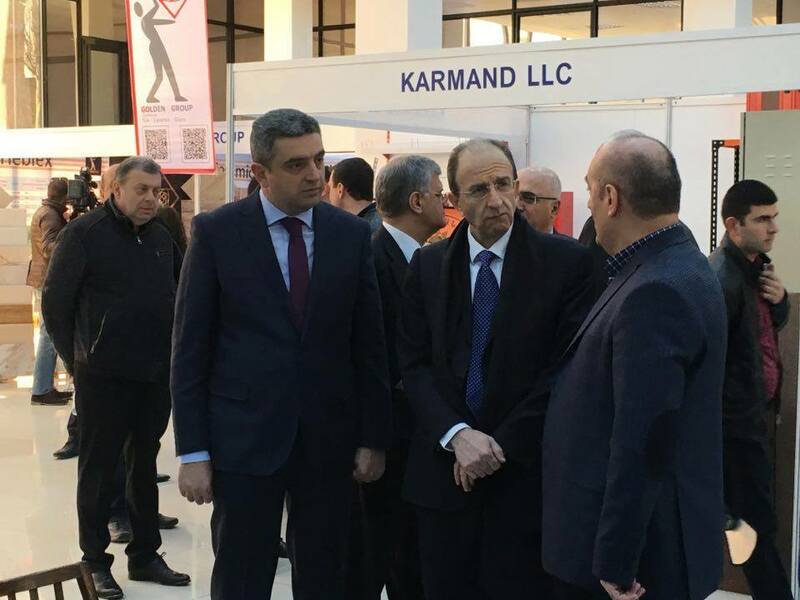 The exhibition has been organized with unprecedented hitherto scope (more than 150 exhibitors), becoming the largest for all history of carrying out in Armenia of exhibitions. It became as a matter of fact regional and completely answered the declared name – except domestic, manufacturers have taken part in it from Turkey, Georgia and Iran, and also the company from Russia, Germany, Finland and Italy. 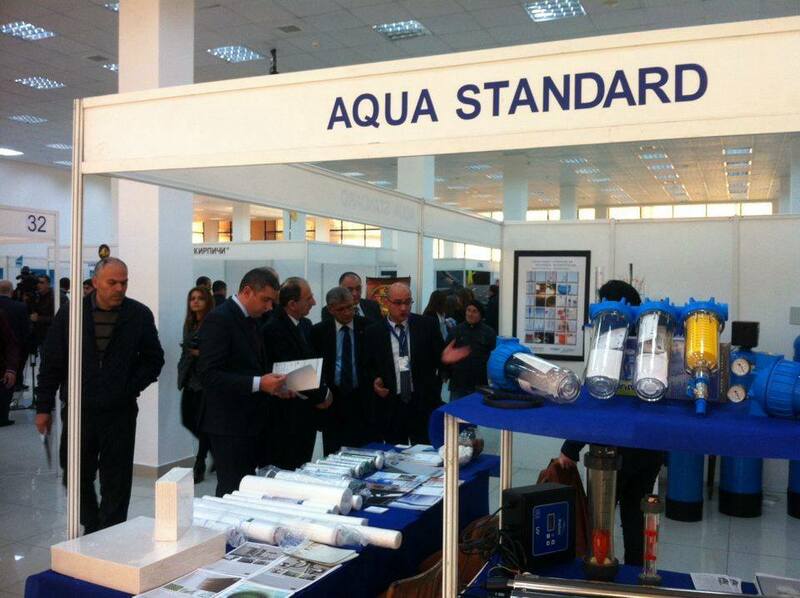 But the main thing – in an exhibition the companies-manufacturers from the region countries have been widely presented. One Turkish companies was about two tens and they have settled down on the area more than 300 sq. metres. Such powerful “landing” from a neighbouring country has arrived to Armenia for the first time. 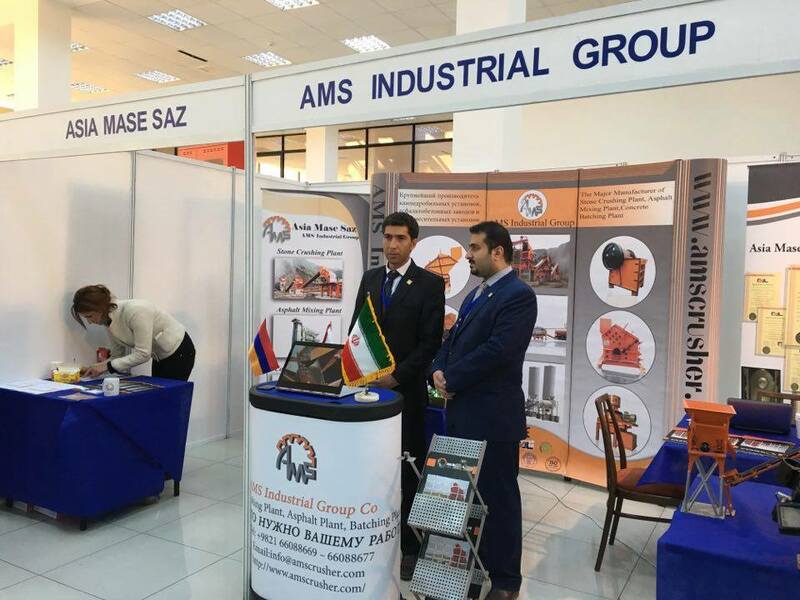 According to the general director of the company “LOGOS EXPO Center “ Souren Nazinyan, organizers expected daily to 5 thousand visitors.” Such interest of experts and representatives of the various domestic companies and the organizations speaks that about 30 % of exhibitors – foreign participants. Under our data, by second day of an exhibition some tens contracts are already concluded, and their number will grow. Moreover, many foreign participants have expressed desire again to arrive to Armenia and in advance have reserved an exhibition area the next year “, – has noted S.Nazinyan. The greatest interest of visitors was caused by the Turkish companies. And it is clear: with Turkish production the Armenian consumer a sign, in general, for a long time, but it got to Armenia through the third countries, and not always high quality. And here there is a possibility to familiarise with the best samples of the Turkish goods that is called, “first-hand”. 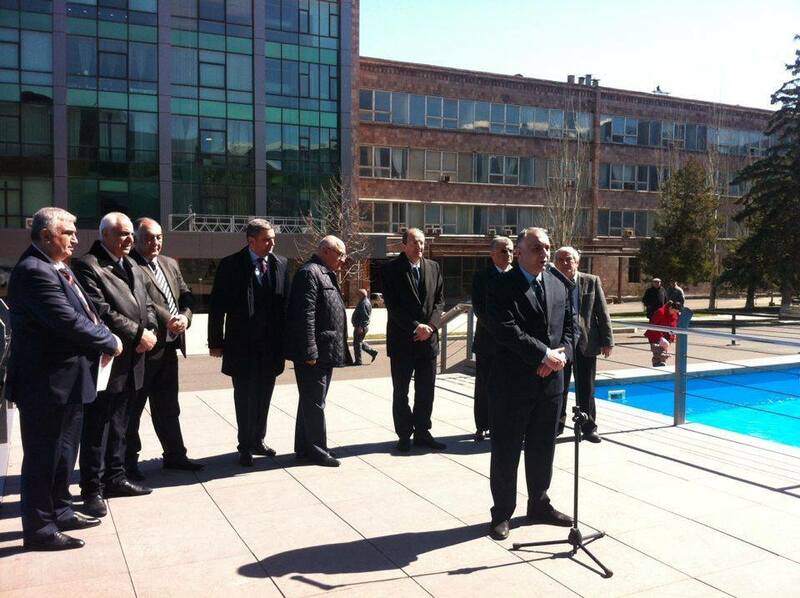 Hakan Marduch in Armenia for the first time. It the manager on export of the Turkish company “TUMRAY” making plastic eaves and various.accessories. In Armenia the company works about half a year. The production on the local market delivers with assistance of the Armenian company “MI&GA”. – What Armenian goods can interest Turkish consumers? – Unfortunately, I am badly familiar with production of the Armenian manufacturers and I can not estimate their potential. Now the main thing – to start to co-operate, more often to meet at such exhibitions, to learn possibilities each other. I think that cooperation can be promoted by Turkish citizens of the Armenian origin, many of which are known businessmen, owners of large holdings. – What your impressions of Armenia? – In your country I and very much would like to arrive for the first time here again. With pleasure I wish to note an openness and goodwill of people. Actually, for me it at all opening – inTurkey at me is a lot of friends and acquaintances among Armenians. My grandmother had a close girlfriend-Armenian. She told about the life, the people much, and it is possible to tell that I have grown on its stories. Our people live nearby not one hundred years, and it is necessary to try to restore kind relations existing at us. Company “OSMANLI” which owner is Ajrettin Basher, makes metal fencings, a handrail and balustrades for ladders and balconies. The company exports the production to nine countries and as the interlocutor has noted, hopes that Armenia becomes the tenth. I have begun conversation with it with last question which has set to its colleague: what he has seen Armenia? – It not absolutely such what sees from the outside. It has appeared that Armenians – very direct, sociable and hospitable people. And I very much hope that problems between our countries will be solved, and it will be easier to us to go to each other, to communicate and trade. And I, and many my colleagues very much we want, that nothing prevented to come freely to us to Armenia, to sell and buy here the goods. 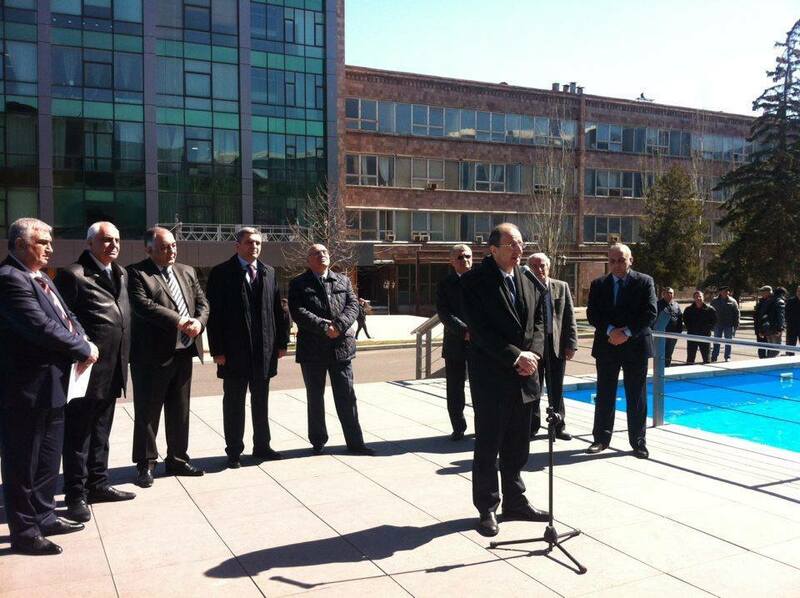 But for this purpose it is necessary to establish a good-neighbourhood with Armenia. And this our desire we will try to inform to our government. – The market of Armenia is small. Than it so involves you? Warehouse where are necessary good warmly – and water-proofing. Here make also industrial coverings for the floors, different durability, wear resistance and firmness to chemical influence. 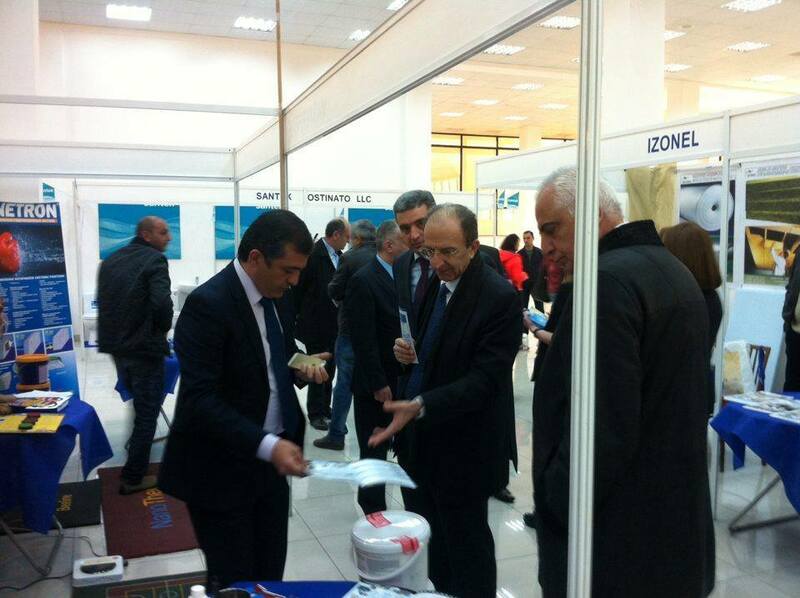 – In an exhibition in Armenia it is participated for the first time, – the sales manager of company Gocha Jakobashili speaks. – Also should tell that the beginning very successful. Our production uses a great interest. Experts and representatives of the various building organizations approached to us, were interested in characteristics of panels. 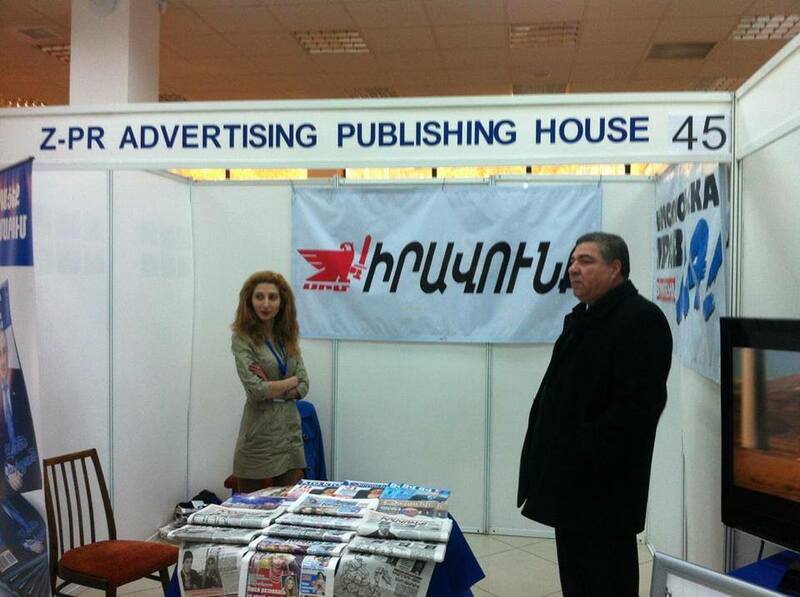 Already there are offers from some organizations to become our representative in Armenia. I know that at you agrarian manufacture is developed enough, and our production will be as it is impossible by the way for building of easy and strong warehouse and refrigerating premises. – Possibilities of the Armenian market are insignificant. Than it involves you? – The market of Armenia really small, and our, Georgian, is insignificant. For this reason, in my opinion, it is necessary to unite our markets, our possibilities. After all together – Georgia, Armenia and other countries of region – will have much bigger potential. One by one we are the markets for other countries, the same Turkey or Russia, and having united, we will manage to advance the production more effectively. And still. In Armenia energy carriers cost cheaper considerably. Therefore it is much more expedient not to bring here our production, and to make it on a place, in Armenia. Then also the cost price will be much more low. That is why we are interested in creation in Armenia of co-production. Very much I hope that for these days we will manage to find the partner which will interest our offer. Having told about our visitors, would be absolutely true to present at least one of the Armenian participants of an exhibition. Perhaps, not absolutely Armenian though the company is registered in Armenia, and it brings production from Finland. But about all one after another. According to researches of British research centre “LEGATUM”, Finland is again recognised by the most prospering country of the world. And recently created company “Finnmitk” (it is literally – the Finnish thought, idea) has solved in process of forces and possibilities to bring some Finnish achievements and technologies in our country. – In Finland the wooden houses, in general all natural, as it is known, are very popular, non-polluting Finns concern all very quiveringly, – the president of company “Finnmitk” the Isabella of Ronnkajnen tells. (The Isabella our compatriot, lives in Finland almost 20 years. And the idea to base in Armenia the company was supported by her spouse, the head of consulting company Ilka Ronnkajnen). – And so, we are going to build wooden houses in Armenia. Not from a round timber, and dried up, cut on the certain configuration, impregnated with special structure клееного a bar. Houses constructed of such material, strong and durable. Wooden preparations of a various configuration are made at factory in Finland. And from them it is already possible quickly and to collect the house easily. It is necessary to underline that the technology of assemblage excludes use of nails – separate and other details are inserted into in advance sawn grooves and fastened some kind of the lock – the wooden plug. In general, houses gather, it is possible to tell, by a principle of children’s game of “Lego”. – It is not obligatory. If you have a small ground area in a city why instead of the bulky stone house not to construct the easy and strong wooden house? As to этажности the technology allows to build houses up to six floors. Besides ecological compatibility, such houses very warm, do not require an additional thermal protection. And heating of such house will manage much more cheaply, after all the tree keeps heat is better. And the most important thing – it “breathes”. It is necessary to notice that wooden houses of such design rather сейсмоустойчивы that is important for seismoactive region. – All natural, as it is known, expensively. And building of such house will manage, probably, too not cheap. We can offer houses of the various area – from 35 to 250 and more square metres. We will tell, the typical two-storeyed house the area of 63 sq. m will manage depending on a thickness of walls (a minimum of 20 sm) from 70 to 80 thousand euro. Beginning from internal partitions and finishing windows and doors – all wooden, natural. On the ground floor of such house the kitchen-dining room, one bedroom, a sauna and per capita settle down. And on the second floor – two спльни plus a small balcony. Internal communications, including the sanitary technician, enter into the complete set. In general, in such house there is everything, except furniture. At will of the client we can make to the change project. All depends on tastes and possibilities of the customer. But the main thing – such house we can collect and hand over to the customer literally for one week. – Armenians by the nature are a little conservative and adhere to that tradition that the house should be necessarily stone. – It is literally in a month we are going to arrange in Yerevan presentation of our house. It is assured that our compatriots will appreciate it. And the wooden house can be warm, strong. In Finland there are wooden houses which stand for 700-800 years. And in them till now there live people. Yerevan, on April, 2nd. / the ARKA/. Carrying out in Yerevan the International specialized exhibition «Caucasus Building and Reconstruction EXPO 2010» testifies to the beginning of process of restoration of consequences of an economic crisis in Armenia, the chairman of the Union of industrialists and businessmen of Armenia Arsen Kazaryan has told on Friday at opening of an exhibition. 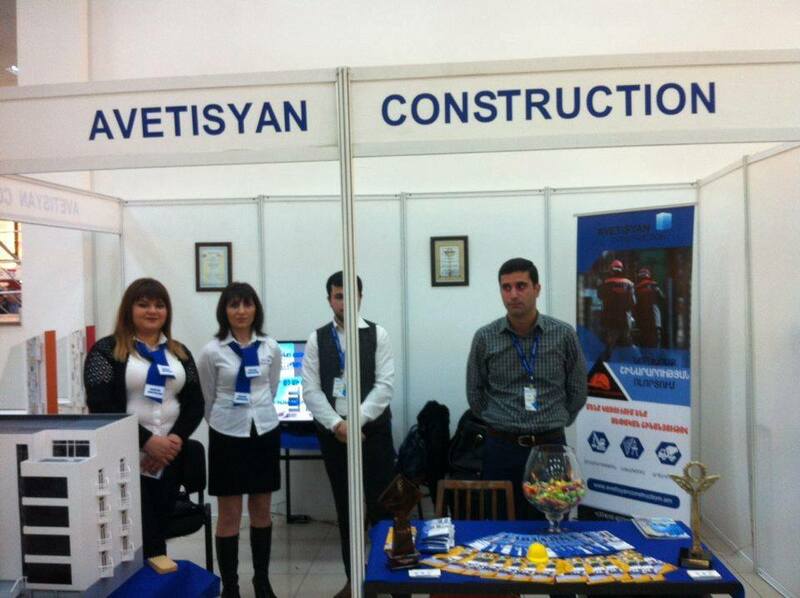 The seventh international specialised exhibition « Caucasuse Building and reconstruction EXPO 2010» has opened today in the Yerevan is Sport and Concert Complex after K.Demirchyan. 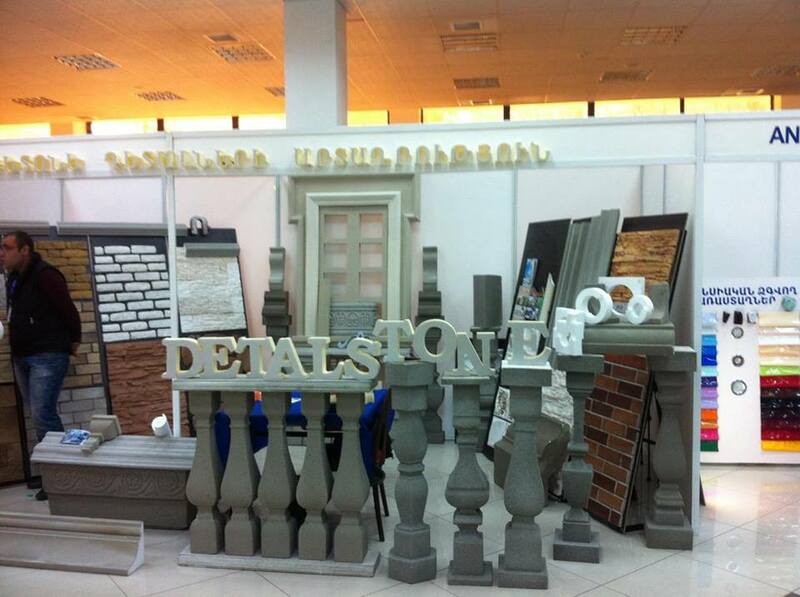 According to Kazaryan, this year, at an exhibition are presented, the largest building brands from eight countries, including from Iran, Turkey, Georgia, Belarus, Russia. «This large inter-regional exhibition, testifies that, despite the last year’s”paralysed”situation, the building industry in Armenia shows preconditions to development and activization. Businessmen of this provide with necessary building materials building sphere, importing this production, and builders with belief look ahead, in hope to restore the same rates which were available last years », – he has told. 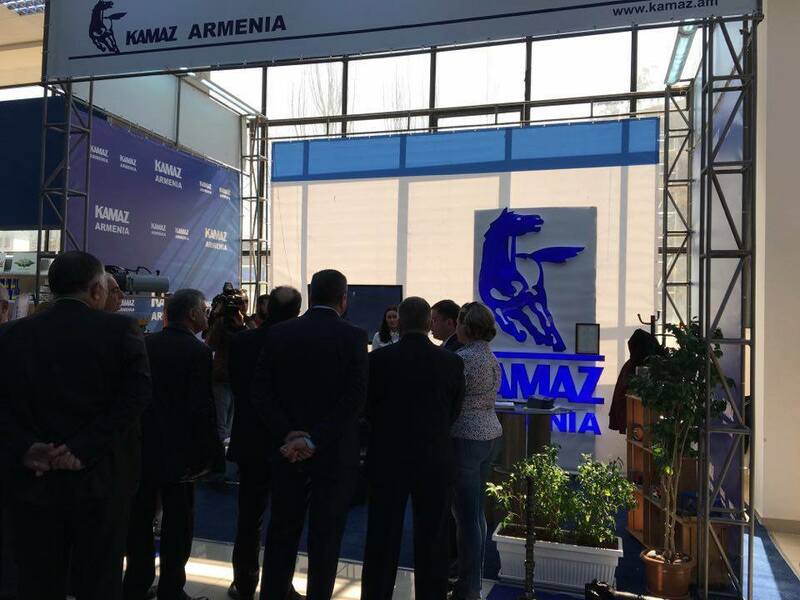 Kazaryan also has noted the activity shown by businessmen from Turkey, participating in an exhibition having noticed that «as businessmen they are interested by the prompt settlement of Armenian-Turkish relations». In turn, the organizer of an exhibition the general director of «LOGOS EXPO Center» Souren Nazinyan has noticed that the annual international specialized exhibition «Caucasus Building and Reconstruction EXPO 2010» became the largest in the history of Armenia. «For Armenia the exhibition has essential value as has got regional character and this year is renamed in « caucasus building and repair EXPO 2010 », – he has told. As he said, this year in an exhibition take part more than 100 companies taking in the lead positions in the market, an order of 30 % of all participants of an exhibition – the foreign organizations. 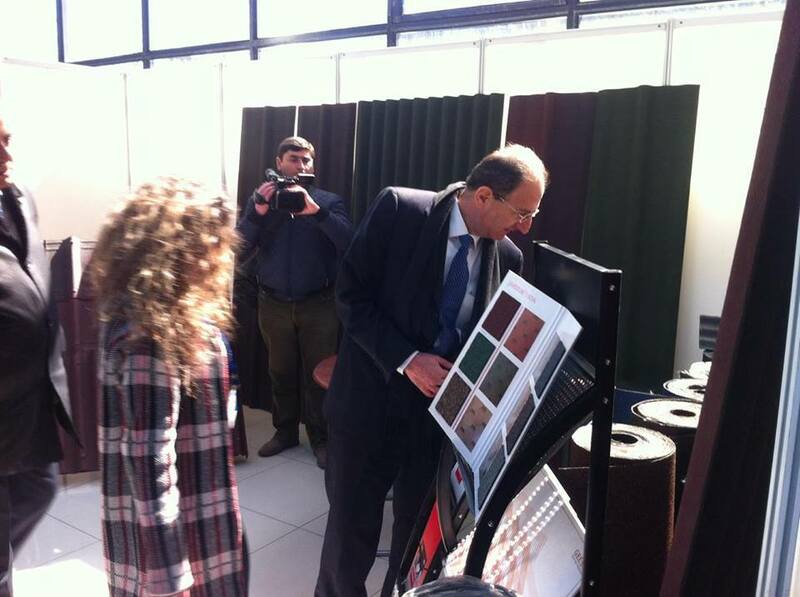 The exhibition is organized with assistance of Ministry of Economics of Armenia, the Union of builders, the Union of designers, the Union of architects. It to last till April, 4th. 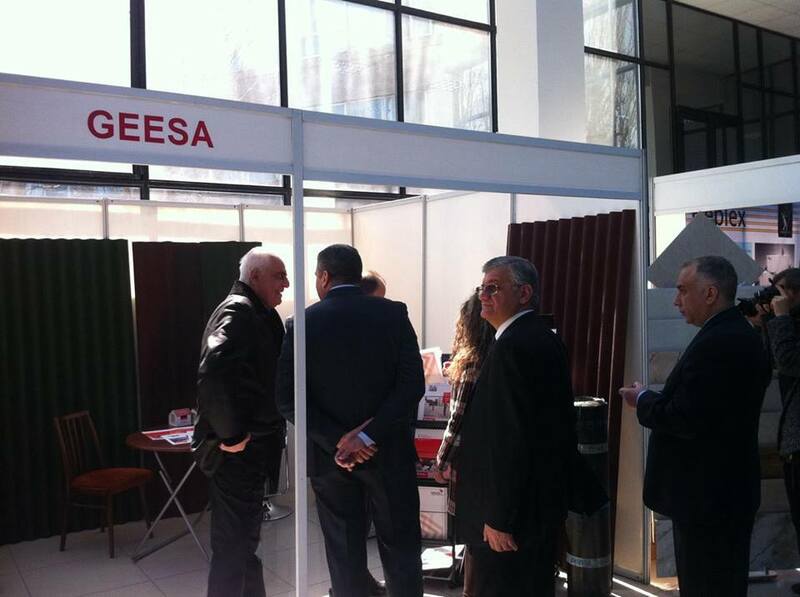 The exhibition purposes: search of new commodity markets and new business partners, attraction of foreign investments into economy of Armenia, demonstration of economic potential in the countries. 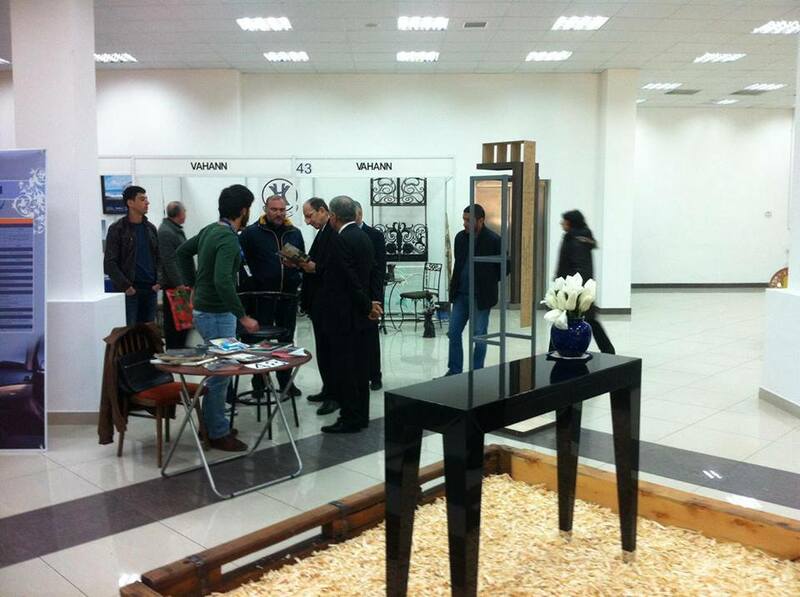 We are glad to see you both exhibitors and visitors to our exhibition! Your attention is very important to us and we are confident that, once in the middle of the action, together we will do more! Respected organizers, participants and visitors of the exhibition. 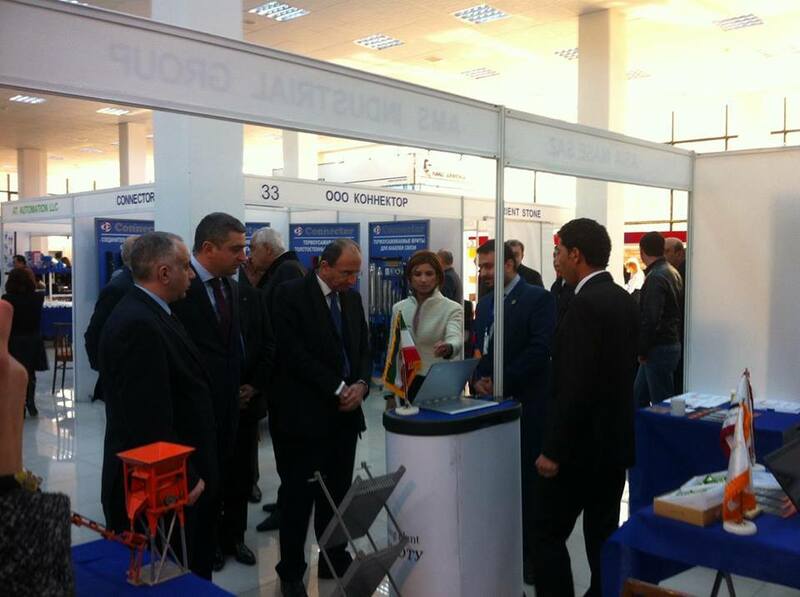 On behalf of the Government of the Republic of Armenia and from me personally, let me welcome the organizers, participants and visitors of the 9-th international specialized exhibition “Caucasus Building and Reconstruction EXPO 2012”. General аnd specialized exhibitions organized by LOGOS EXPO Center have a positive influence on the strengthening of international relationships, on development of economy of our country and business sphere. 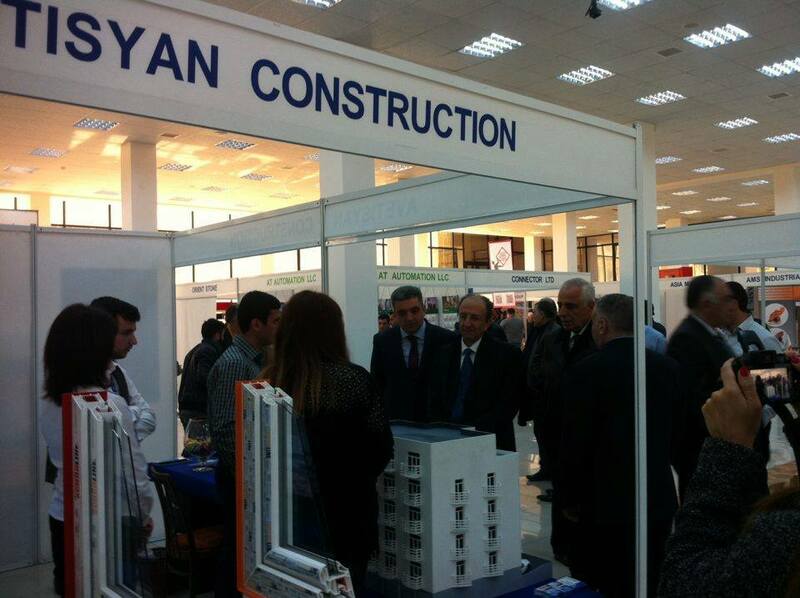 Being already traditional, the exhibition “Caucasus Building and Reconstruction EXPO” gives a great opportunity for domestic and international building companies to familiarize the visitors and builders with the latest achievements in construction, architecture, design and projection, and besides this with the production of construction materials, innovation technologies and equipments used in construction. I wish that the business agreements reached during the event become into a long-term and mutually beneficial cooperation. Once again I welcome the participants and wish them new achievements and fruitful work. Dear participants and visitors of an exhibition! Exhibitions organized by LOGOS EXPO Center have a special place in a number of economic actions in Armenia, and it is possible to ascertain, that their value and role raises from year to year. 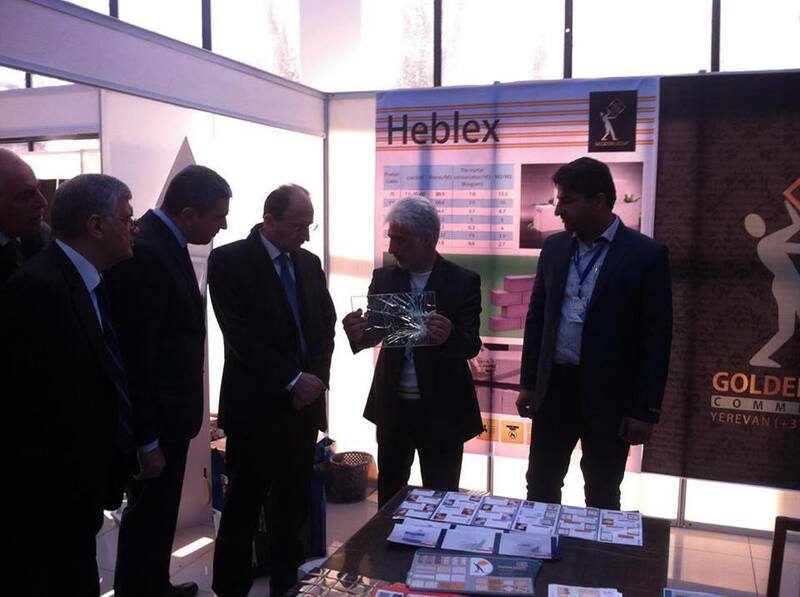 Organization of specialized exhibitions are directly connected with the development of construction sphere in Armenia. It is already nine years that this exhibition collects famous armenian and international companies and gives a good opportunity for new business relationships. Presence at an exhibition of the largest manufacturers speaks about mutual interest and strengthening of inter-regional economic relations. I wish the organizers and participants new ideas and business results for future relationships. Similar exhibitions yield positive results and promote direct contact between importers and local wholesalers. Besides, we exchange communications and the information on where it is possible to get the qualitative goods under the optimum price. Thus the interaction range is wide enough. 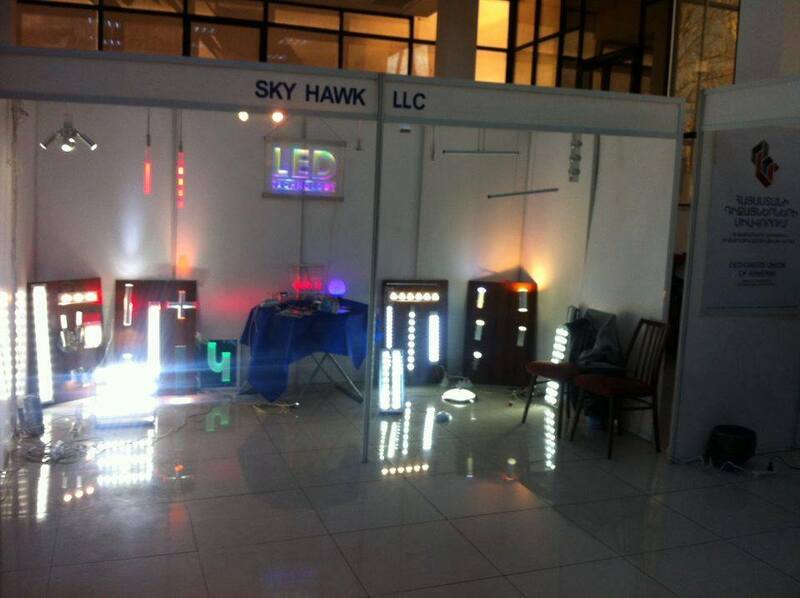 We represent known enough Turkish company and we take part at all large regional exhibitions. 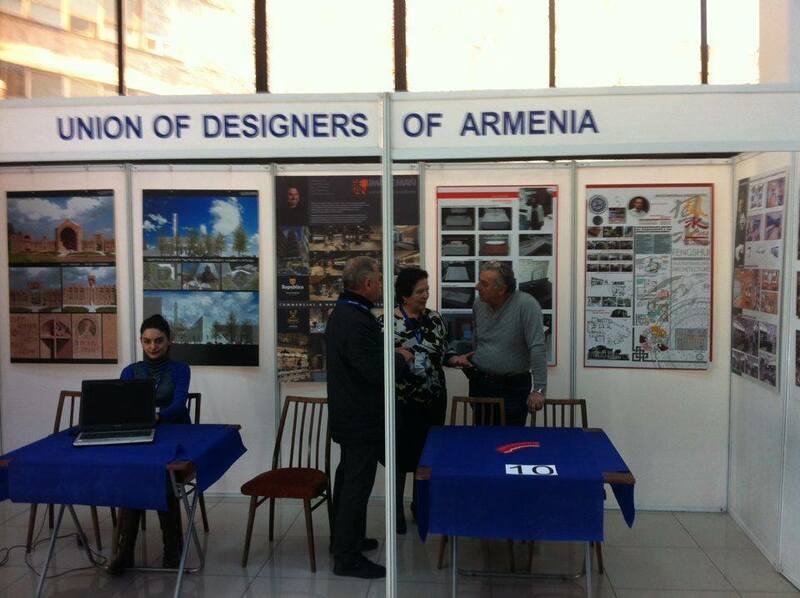 I wish to notice that this exhibition organized in Armenia actually is the bridge connecting Armenia with caucasus. 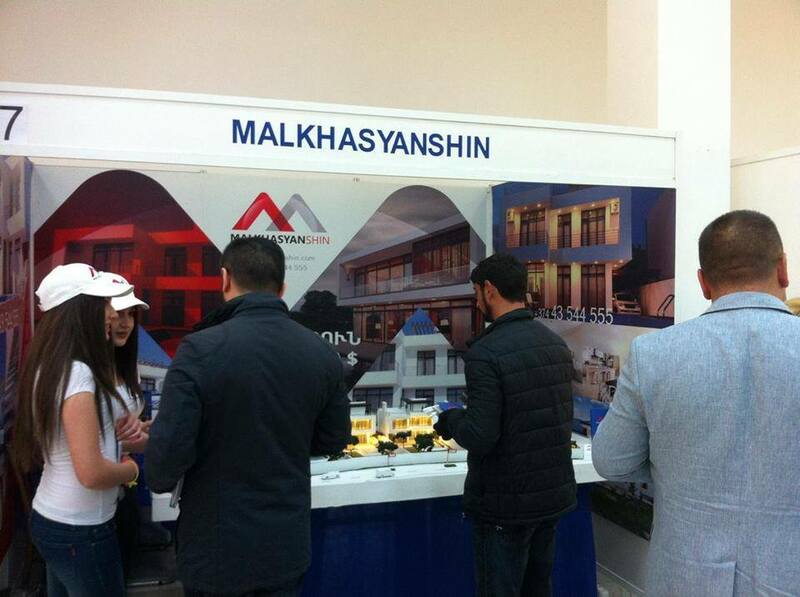 Thanks to an exhibition we have received the important information as about the Armenian and foreign building companies. 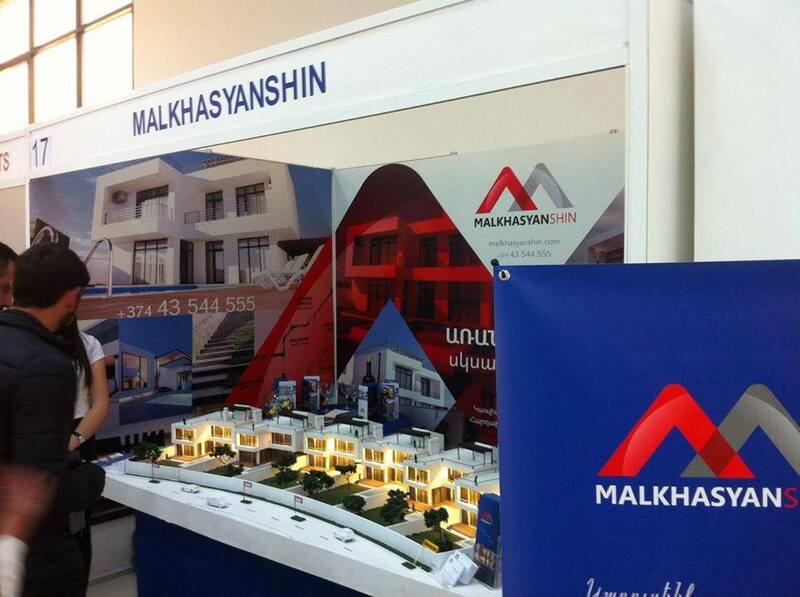 We represent the largest Turkish building company and we are here to get new partners. Thanks to an exhibition we already have some business of offers. 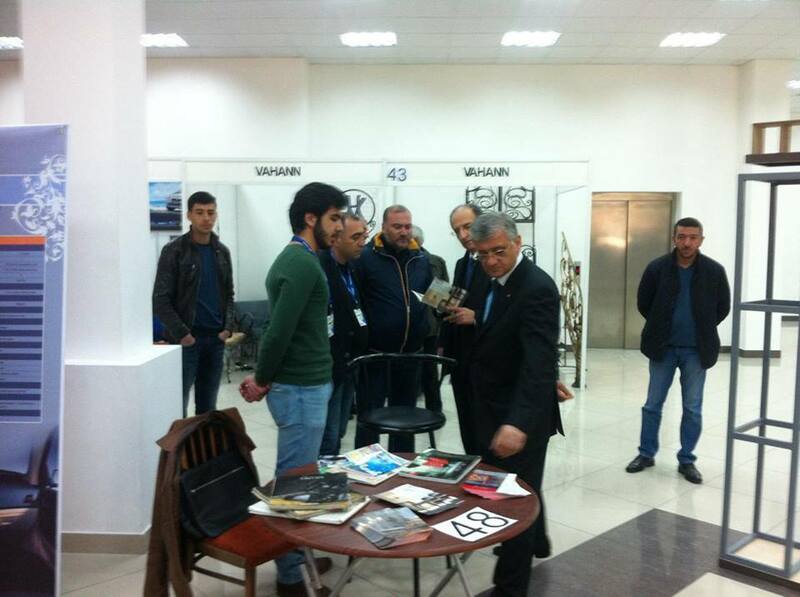 We thank organizers of an exhibition for the given possibility of expansion of borders of our business. We represent the Georgian company which has partners from the various countries. Today’s our purpose is acquisition of new partners also in Armenia. I heard about Armenia much, but never was here. The exhibition was presented by good possibility to combine business with pleasure. Here I have seen the large companies of caucasus and I am very glad that our company possibility to present the production too has dropped out and to come into contacts new business. I was at many exhibitions abroad and I can tell that the exhibition organised by LOGOS EXPO by nothing concedes to that I saw. It is pleasant that the most part of visitors from building sphere and I hope that we manage to get new partners. We represent the largest Turkish company. I was in many countries, participated at various exhibitions and I wish to admit fairly that expected to see in Armenia an exhibition organized with such scope. We have arrived from Istanbul. Are very happy with results of an exhibition. It is possible to tell that we completely have pursued the scheme, which have put before myself before to arrive to Armenia. Actually it is pleasant to realise that economic relations between Turkey and Armenia are gradually adjusted. We are very grateful to LOGOS EXPO company for well organized exhibition. Here there are all conditions for successful development business of relations between the Turkish and Armenian building companies. – Direct sales (to final individual consumers). On a specific stage of company’s functioning, each of the means seems to be effective and for the bottom line efficiency requires significant monetary, people and time resources. When participating in show you get a possibility to benefit from all the instruments tailored to the targeted audience of your potential customers. At the show you are advertising, selling and branding your company’s image at a time. Investing to the exhibition presumes its return; the ROI level depends on four key points of marketing that define its efficiency. – Products and outcome analysis. – The events are planned. – The visitors come to the venue with a definite idea to attend your stand; the latter leaving no chance to passing by for those attendees who are not so much concerned. – Your people can work at exhibition; they are keen and ready for such a work. – Precise and informative notes of the calls taken “close in the tracks” are piled up at your table ready to be used for work. We hope you find these notes useful for you and your company and will get answers to the questions arising when making preparations to the event. 1. 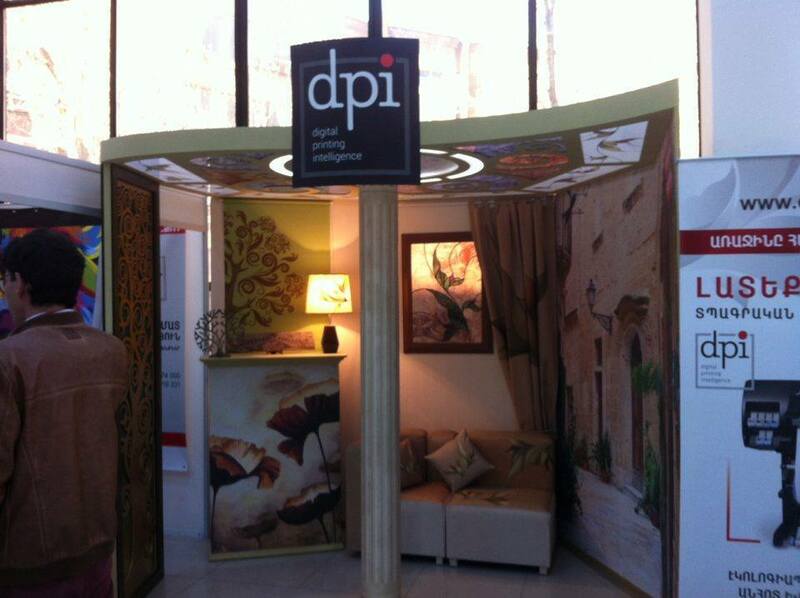 What is the place of exhibitions in your company’s marketing policy? – Would you like to increase the present volume of goods/ services sales at the existing markets? – Would you like to pipeline new goods / services to the existing markets? – Would you like to offer existing goods / services to the new markets? – Would you like to offer new goods / services to the new markets? 2. Why your company should take part in the exhibition? Or in other words, what is the goal of your activities? – The goals should be measurable, attainable, realistic, have a timeframe and due date. Example. Establish 50 (quantity) business contacts with potential (qualitative) customers interested in a new good (namely). As a result 10 sales (amount) should be closed by due date of (time). 3. After you have defined the goal, you’ll understand what you are going to exhibit. Having defined goods and services, precede to the exposition layout to make it draw attention exactly to these items. Mistake: very often the firms engaged in manufacturing of several types of goods layout all assortment at a time. As a result, a customer fails to understand how s/he can benefit from such exposition. 4. What is your targeted customers’ group? 5. How mush money is your company ready to invest for participation in the event? 1. What space is needed? First of all, the standing area is defined by your goals and your budget amount, with space left for personnel and visitors. 2. What is the best place to locate the stand? Generally customers turn right or move to the center. Scrutiny the Floor Plan. Where are the sector big players? Where are your rivals? Where are the main points that draw customers’ attention – bar, head office, maintenance services, etc.? Located closer to a toilet or a bar, an exhibitor can get immense success. 3. How to design the stand? – Identify how s/he can benefit from your goods or services. Use slogans, signboards and headings. When at commodities fairs, focus on definite articles, not on the brand. 4. What are the terms of participation at the event? 5. Transportation of equipment and exhibits. Information an exhibitor should know. – Who assembles/disassembles your layout? A hired team? The organizer’s personnel? Your company’s personnel? – Is assembling/ disassembling complicated? – What goods or services should be exhibited? Pay attention to the adequate number of shelves and other facilities, as also to the space to demonstrating goods when in use. – What public utilities the stand will get? What are installation / transportation rates? Container storage, etc.? – Summarizing exhibitions and activities after it. For the delivery of bulk items may need special transport, and you have to check the entire route – from the container until the stand. Book transport at a convenient time and do not forget about the return shipping. After the exhibition organize transport and store exhibits. Make sure that the load was carefully dismantled and packed – perhaps more exhibits will take you to work or sale.
! Do not forget to specify in advance the schedule of delivery and removal of exhibits with the head of the exhibition, in fact, such large equipment requires more time for its installation and commissioning. If the exhibition is held in another country, you need to take care of all customs formalities, reliable transportation of cargo, and, if required, for permission to trade. Despite the fact that you invite the press, it is advisable to have your own pictures, and honored guests of your stand or rank reception, then to use them in publications. There is no doubt that the attractive exhibits will look, the faster they will gain the attention of visitors. Appearance exhibits can be improved by placing it in the window next to the attractive external object, or place on a material with a pleasant face (fur, velvet, suede). You can also use phyto-design. One of the important factors of presentation is to show exhibits in conditions close to actual practice, show video clips (the need to think of ways the question of presentation equipment, as well as a way to showcase their services). Important role played by the lighting booth lighting. We recommend also immediately determine whether the exhibits to be available publicly, or they need to be further insure against unlawful actions (failure, theft). Organize stand cleaning. Dust and fingerprints do not decorate your exhibits. In the venues made mandatory cleaning passes, but the exhibitor should take care of its stand and hire workers that they cleaned it every day. Every exhibition success is determined by the staff’s skill. There is a view, a fallacious one that any employee who is not engaged in production and aware of company’s activities can promote at the stand. At such approach your expectations remain as they are and do not achieve results they are capable of. 1. Fix on sociable employees. 2. They should wish to promote at the stand. 3. An employee you have chosen should be observant and notice modulations in communication, inclusive of non-verbals. 4. She should be competent to answer any question of a visitor. 5. The employee should be skilled in listening and asking leading questions. With a team selected, involve all the members in discussion on common vision of the company’s participation at the exhibition. People communication is a key argument to success. 1. The aim of participation. 2. The list of goods for the exposition (no bolts from the blue at the opening!). 3. Requirements to the personnel at the stand – people should have individual plans meeting common aim (what information to collect, how many presentations to hold, etc.). 4. Practice the personnel in front of the team to demonstrate the goods from the stand, arrange efficiently potential customers. Make it a rule to finish every day with a brief meeting for the promoting personnel. It will help to eliminate mistakes when they are fresh before next day comes. The personnel working at the stand should be motivated through selling commission, or extra days off, etc. Exhibition – is a place where the personnel can either credit to or ruin further contacts. They say a customer has 3 – 4 seconds to make a persistent view of the firm. The stand promoting personnel should have a respectable looking. Every firm has its own style of dressing. Follow the tradition. Like actors on the stage. From the very beginning up to the close the personnel at the stand are like actors on the stage. Visitors come like spectators who are keen to see a performance. Their expectations are great as they endow with their time and it is precious. Exhibition sale differs from a common one. 1. Exhibition is a “neutral area”. Buyer and sellers are in equal position here, none having priority as in a common situation of selling. 2. Time is money. The working hours of the show and time of the visitor is limited. The bigger the event, the less time of a visitor is left for each particular stand. 3. Visitors’ attention is scattered around. 4. They have limited time to collect and analyze the information they come across. The stats say in general a visitor spends 3-5 minutes to a stand. 5. The number of would-be buyers is definitely higher as compared to a traditional sale. 6. Potential buyers come up to the sellers by their own wishing. 7. You can feel limits to demonstrate the goods when in use as visitors’ attention is scattered and time is limited. On the other hand you get a unique chance to demonstrate bulky equipment. Sale will be sale. And buyers will be buyers. S/He may feel frustrated to undertake wrong decision that is why it is important for the visitor to be aware of your concern. 1. Find your true would-be customer and meet him/her. A variety of people attend shows. Some of them have definite idea in mind, another enjoy just wandering around. Your skill to identify a visitor’s type leads to success. 2. Ask pertinent questions to find out his/her needs. Treat them as they wish to be treated. After you have defined your vis-a-vis type, you get a chance to talk to him/her confidentially and understand his/her way of thinking and making decisions. That means that you’ll choose an adequate method of influence towards him/her. 3. Propose your point of view. The exhibition fuss and constant flow of communication make the visitors’ attention scatter a lot. What are the ways to draw his/her attention to your stand? Avoid asking banal questions like ‘Can I help you?’ or ‘Do you like the show?’ You are sure to get banal answers and thus loose time. They won’t let you start a conversation and find out visitor’s specific needs. Prepare greetings and fishing questions in advance. Your questions should be of open-type starting with the words Who? What? Where? When? Why? How? They motivate thinking and may lead to start a conversation. Your questions should sound professional, stimulate to discussing the goods/services, and how to benefit from them. 1. In what way is your firm connected to: (the branch of industry)? 2. What is your idea of using the goods/services by your firm? 3. How much is this or that benefit vital to you now? 4. What are your daily needs (regarding definite situation)? The majority of visitors up to 58% will be waiting at the entrance for your employee to come less then 1 minute. Within the influx of visitors you may feel understaffed. Thus multimedia presentation can enable interaction of viewer with the presentation and answer his/her general questions. It happens that an employee’s behavior causes a viewer to leave the stand. Some of them feel awkward disturbing a conversation of personnel that made themselves comfortable some where at the stand. The stand promoters are not allowed to drink, eat, read, sprawl out, look tired or indifferent as it may cause negative reaction of a viewer. And not a single booklet will be able to restore it. How to ask and define potential customers? Pertinent questions and active listening can yield in good results. Conduct your conversation in a question-answer manner. 80/20 Rule. 80% of time listen to what customer is saying and 20% of time spend to tell him/her about your goods/ services. Skillfully asked questions make the customer relax and get in contact. Do not attack a visitor with your questions so as not make him/her feel interrogated. With one mouth and two ears, use a rate 2:1. 15. The information collected should be put down to a special list – questionnaire. Attempts to decode information written on the back of a visit card after the exhibition is of low efficiency. Collected questionnaires are a valuable scope of material to be reviewed and analyzed after the exhibition. Active listening assumes efforts and concentration. One not only listens to vis-a-vis but also analyzes his/her words, thoughts, and emotions. Try to place yourself to his/her situation. Avoid estimation. Try to understand the other’s point of view. Get feedback through the words, gestures, non-verbals. – Make sure that every exhibit functions properly. – State main merits and advantages of the goods/ services, single out benefits a customer can achieve due to the goods/services. – Make a list of possible spheres of activity for your potential visitor after you will have given him/ her instructions to users. – Encourage viewers in demonstration; let them help you. – Make pauses in your speech; use means of nonverbal communication for cogency and trust. – Ask open questions and be ready to anticipate the visitor’s question. – When specifying characteristics, focus on those that can be actually of any interest to the viewer. (Ask yourself if s/he really needs it). – When presenting the benefits one can receive use numerical and qualitative indices. – Ask visitors on their opinion. Be brief and exact. Avoid using technical terms if not inquired. Focus on benefits, namely assets and time saving. Avoid using technical terms. Let the customer feel himself/ herself free and get pleasure from the discussion. Underline advantages and prestige the customer will get due to the goods/services. Do not overload him/her with information. Underline the advantages that can make visitor’s position more steady, sure and simplify his task. Give personal assurance. Be logical; use precise information. Let the visitor share his/her opinion and experience. Focus on the quality, significance and reliability of goods/ services. It happens, the exhibitors complain on the lack of advertising or on targeted visitors’ shortage, etc. Having paid for participation, a firm usually sets at ease and relies only on the organizers as for promotion. We agree that the exhibitor pays for advertising by the participation fee. But please note that this ad campaign is held for the whole event! We undertake to hold general advertising campaign and to interest targeted audience. Here some methods to draw visitors to your stand. HOW TO SHOWCASE YOUR STAND? With so mush to do prior the event, start your company’s/goods/services advertising campaign long before a customer will come up to your stand. Personal Invitation Cards are posted to highly focused groups of visitors – patrons or would-be customers; the Cards being signed by the firm executive. Invitations sent over telephone or faxed. Use invitation as a ground to telephoning your patrons. Your mailing campaign should meet your goals specified for the exhibition partaking. Motivate your customers to visit the exhibition to get a gift or a souvenir, to watch goods when in use, obtain discounts, benefit, etc. Trace the action effectiveness via the coupons dissemination. Two or three times in intervals, mail to your addressees. Change the content of your messages. For example, in the first message describe the goods/ services and inform the customers that details will be presented at the exhibition. The following mail should contain an invitation card inclusive of coupon to visit your stand. 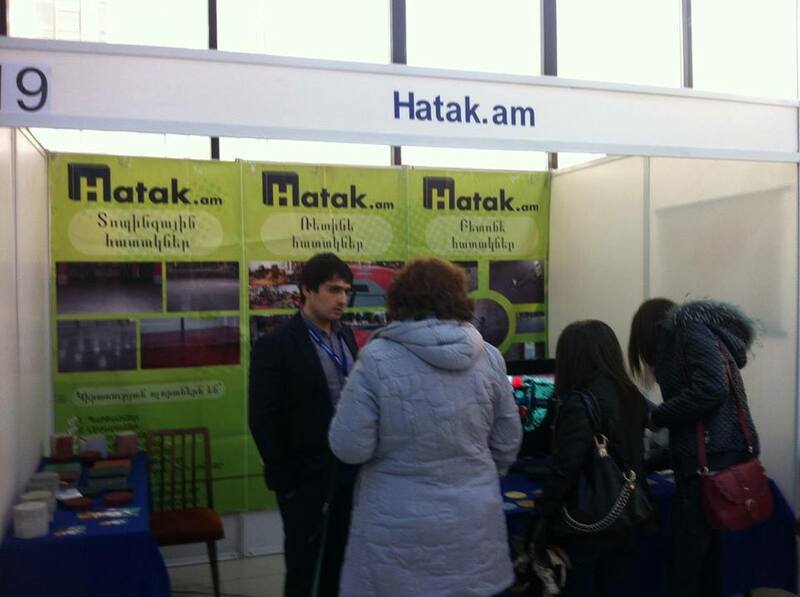 The main aim of your participation is to stimulate viewers to visit your stand. – Show how they can benefit from your goods/ services. – Underline how they can save time and money. Address to the customers’ emotions and needs. – Reward for their actions. – Make the visitors remember you. Branding via mass media is a general advertisement and other high profile activities that help mold your company’s image. Not to be confused with advertising! Advertising stimulates customers to purchase or meet somebody’s wish. While branding contributes to your business reputation and good will. Draw up a press release and other informative materials on your company’s activities to publishing. Choose editions that will highlight the event progress. 1. Who? – Define potential customers. 2. What? – Formulate a message. 3. Why? – Stipulate goals and objectives. 4. Where? – Name the place. 5. When? – Mention time and schedule. 6. In what way? – Specify methods of evaluation of outcomes. 7. How much? – Give an example of cost criteria. Hold a workshop/ presentation for the visitors and mass media at the stand. Try not to focus on pure advertisement, as visitors may be interested in further information on the issue. What a visitor will retain? Dedicated handouts. A view of visitors wandering around with an armful of booklets, leaflets, etc. may be familiar to you. Psychologically a visitor is intended to take everything s/he is offered and is keen to look through the materials afterwards. But outside the show the major part of it turns out to be colorful literary trash. So up to 75% of exhibition materials are thrown away unread. – Avoid manufacturing expensive promotional material to be handed out at the stand. – Ask the visitor is you can mail information to his/her address. It will save the visitor bearing a pile of booklets and allow him/her scrutiny the papers in a comfortable atmosphere. More, when a customer receives personally addressed envelope, psychologically s/he feels accountability to study the materials thoroughly. – Hand out booklets to targeted visitors mainly. -Human beings, not booklets, conduct selling. The most common mistake is when a stand promoter hands out booklets to every one passing by. Booklet is a result of earnest conversation with a visitor. Use video or CD/DVD presentation. Valid goods are used as free samples. They should bear your commercial information – brand, properties. A visitor is not imposed to liabilities on receiving a sample. Use samples as gifts for the visitors who say fill in questionnaire or leave information to your database. Use samples for your visitors’ quick identification. Due little tricks at mailing you can orient to the categories of visitors and use a relative style for negotiating. For example: A Playing-Cards Method. Under one cover you post to crucial customers invitation and the King card; to suppliers you post the Queen, and Jack to likely buyers. In the attached letter ask the addressees to bring the cards with them to have a chance to get a gift in exchange for the card. – Do not forget about the firm clothes stand personnel or clothing of one style. – Be competent in decision-making. That’s what they say about it professionals: “… chat with visitors booth personnel has its difficulties. The conversation at the stand must be able to right the first time. Main phase of communication becomes the first moment of meeting. Much will depend on the ability of staff to smile. – Once a visitor came to the stand, he should be given time to look around. The employee must stand watch than the visitor interested. It is possible to wait for an opportune moment to him for the first time to apply. – Do not start the conversation the question “What are you interested?”. – Say something about the company or product, and only then ask, “What direction you represent, if not a secret, of course?”. – Oh, you probably director of the company ?! – Company “N”, good afternoon. Well, some of these items is worthy of your office? – The conversation must be conducted without compulsion. Through targeted questions need to find out the position, motives, criticism and claims intended use of the goods, the quality requirements, as well as the possibility of an early decision on the contract. After determining the level of professional competence and the right to a decision within the enterprise can achieve a certain level of understanding. To claims and expressed doubts should respond sensitively and immediately offered as specific as possible ways to resolve them. The step comes on the event closure. Generally at exhibition exhibitors rather meet potential customers and establish long-term relations than sing contracts. Actual sales start immediately after the exhibition when you get in touch with your contacts and perform orders. The most common mistake is a lack of plan for co-operation with the addressees in the base of contacts. Usually this data is handed in to the sales department and :vanishes to nowhere. The exhibitors omit two crucial issues – first is time when to call the customer after the exhibition, second is individual approach to communication. Special emphasize should be laid on the final stage of the bargain. How to transfer contacts to contracts? Immediately after the exhibition send letters of gratitude to the customers that were keen visiting your stand. Prepare such letters in advance when making preparations to the exhibition. Assure the customers to communicate within one week. Your letter should come to the visitor within 48 hours following the exhibition closure if you want him/her to memorize your company’s name. This is the most simple and inexpensive way of classification. Work out a special telephone questionnaire before the event. It should be brief and contain the main points to be easily filled in within several minutes. Put in cliche phrases to initiating conversation, asking on customers’ needs regarding your goods/ services, or on terms and assets available; also in what way they undertake decisions; what are the mutual follow-up actions. Focus on A&B Customers’ Group. Set in the terms. All telephone negotiations should be through within one week following the exhibition closure. Range the answers you have collected. After you have filled in the register over the telephone, group the answers once more. Focus on Hot and Good Customers. Mail your information to the addressees who have got in touch. Make a list of the rivals’ customers to apply for in the future. Estimate your work at the exhibition results. For this purpose you should have work out a system of evaluating indices. One bargain cost is a ratio of total expenses for the participation to a number of sales. One established contact cost is defined by the rate PO / number of questionnaires collected. The ratio OP vs number of hot, good, and potential customers defines cost per one customer’s promotion over telephone. Estimate your working efficiency. Choose the time to discussing and analyzing the team work at the exhibition. 1.1. Exhibitors are allowed to participate in the exhibition only after paying in time all amounts. 1.2. Signing the application form and the payment of the registration fee (for “A”, “B” types) no later than 3 days after applying is considered as final decision to participate in the exhibition and pay all amounts before the mentioned in the application form time. Concerning to that will be reserved the requested space and/or service. 1.3. If the participant refuses to participate in the exhibition or makes a request to reduce of agreed services after making the payment he can get 25% of the amount from the organizer. That in case, if the participant informs the organizer in written form not later than in 20 days before the exhibition date. Other 75% of the amount is not to be claimed by the participant. 1.4. In case if the participant refuses to participate in the exhibition or delays the payments, the organizer of exhibition is entitled to dismiss the participant and to get 100% of total amount as a penalty not later than 20 days before the exhibition date. In case of delay of penalty payment, the amount will increase 1% for each day of delay. 2.1. The organizer of the exhibition provides the participant with the spaces and other exhibition services according to this application form and made payments. The organizer reserves the right without additional agreement with participant to change the place of the participant’s stand in the hall, only if for it will be the special necessity, which could be related to the general mounting of the exhibition hall. 2.2. The organizer is fully responsible in correspondence with the legislation of the Republic of Armenia. Dear participants and visitors of the exhibition! 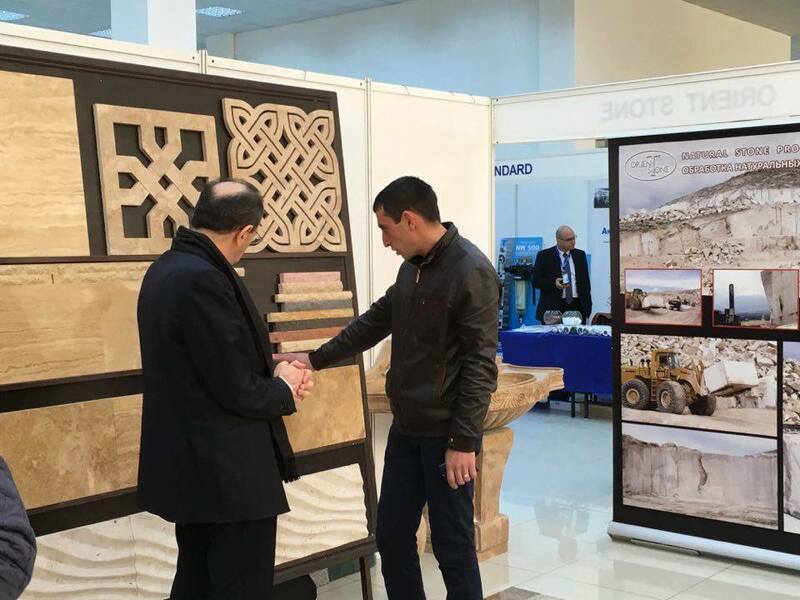 On behalf of the Union of the manufacturers and businessmen of Armenia I welcome participants and visitors of the international specialized exhibition “Caucasus Building and Reconstruction EXPO”. 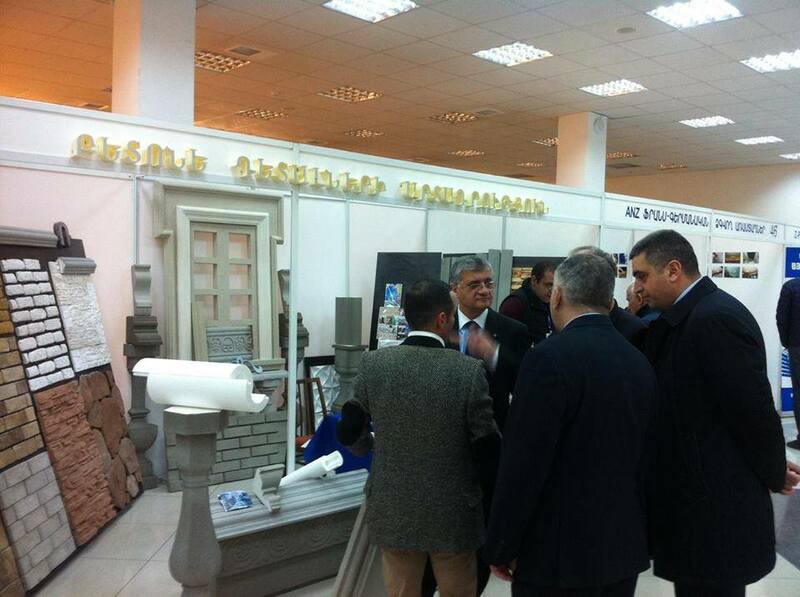 That fact is conclusive that the specialized exhibition “Caucasus Building and Reconstruction EXPO” became the most important tool in increase of efficiency of economy of Republic of Armenia. 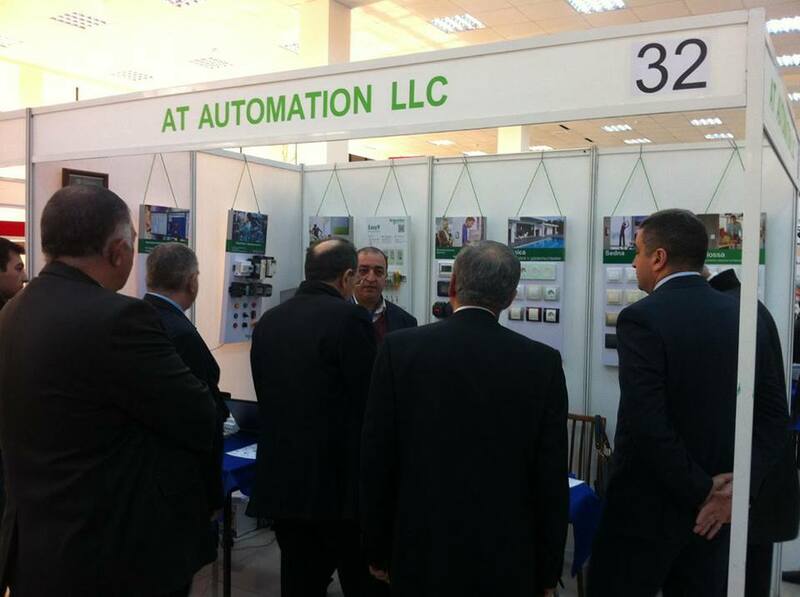 We consider an exhibition as a working platform for an establishment of business contacts between domestic and foreign manufacturers and for this reason the Union of manufacturers and businessmen of Armenia actively supports exhibition company LOGOS EXPO Center, representing itself as employee so important and scale action. I wish LOGOS EXPO Center further prosperities, and to all participants of the exhibition successes and active fruitful work. In the early spring of each year it has become a good tradition to gather together construction companies, designers, different companies and professionals who care about the complex issues of the construction sector. It has become possible thanks to the international specialized exhibition "Caucasus Building and Reconstruction EXPO" which became not only a place for establishment of business contacts, but also an arena for the conclusion of international production agreements..
On behalf of the Union of designers of Armenia and from myself personally I would like to thank the organizers of this international exhibition and I hope that designers of the republic will use this real opportunity to present their creative opportunities to the visitors of the exhibition. Thanks to this exhibition they will be able to specify many important questions regarding the technology and constructive opportunities of the materials used in projects. I would like to congratulate the participants of the exhibition and wish them productive work. I salute the management and the whole staff of the center for organizing such a huge exhibition and I wish that it will become a useful platform for both participants and visitors. Dear organizers, participants and guests! On behalf of the Union of Builders and from me personally I would like to congratulate you on organizing the international specialized exhibition “Caucasus Building and Reconstruction EXPO”. It is noteworthy that this event has gathered both local and international participants, which is a great impact for development of the economy of our country and for establishing new business relations. It is noteworthy that the exhibition is organized in Armenia and I wish that it will become a great opportunity for the participants for finding new markets, as well as for exchanging important information. I would like to greet LOGOS EXPO Center and wish success and productivity.